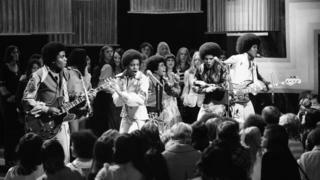 Five of Joe Jackson’s sons – Jackie, Tito, Jermaine, Marlon and Michael – became the Jackson 5, joined at times by younger brother Randy, who also pursued a solo career. Three daughters – LaToya, Rebbie, and, most famously, Janet – all fashioned their own pop careers under Jackson’s management, with varying levels of recognition. 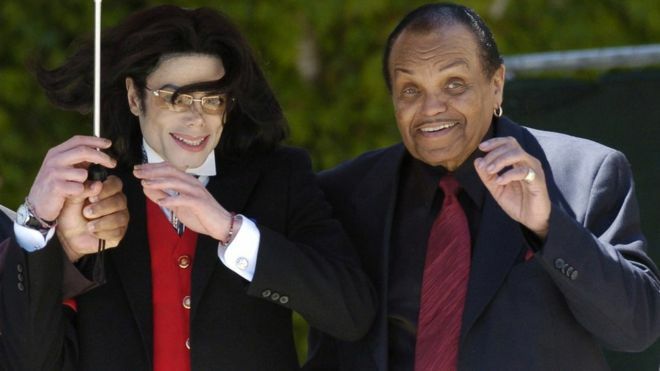 Jackson was the architect of his children’s early successes, but some of them would later say he drove them with a zeal that bordered on abuse, with Michael and others alleging bullying, physical abuse and punishing work schedules. Jackson later admitted that he had whipped Michael, but denied it could be categorised as a beating. “I whipped him with a switch and a belt. I never beat him. You beat someone with a stick,” he told the BBC’s Louis Theroux in 2003. The Jackson family was famously riven over the years by internal strife, which often played out in the full glare of the public eye, with various estrangements and arguments over money making their way through the courts. Speaking to the Daily Mail before his father died on Wednesday, Jermaine Jackson said some members of the family were unable to gain access to Jackson in his final days. “No one knew what was going on – we shouldn’t have to beg, plead, and argue to see our own father, especially at a time like this,” he said. Jackson was born in 1928 in Fountain Hill, Arkansas and was the eldest of five children. He described his own father, a university professor, as a domineering and strict presence. Jackson nurtured ambitions of being a boxer and later played guitar with a blues band, The Falcons, but failed to win a recording deal. In 1949 he married Katherine Scruse, a former classmate from Washington High School in East Chicago, Indiana. She raised their children while Jackson worked at a local steel mill. In 1957, they lost a child, Brandon, to stillbirth. He would have been Marlon’s twin brother. During the 1960s, Jackson took control of his sons’ burgeoning musical efforts and the Jackson 5 was born, later signing to Motown records in 1967. The Jackson 5 splintered as Michael’s solo career took off and he distanced himself from his father’s management. Jackson focused instead on his daughter Janet, who went on to become a massive star. Jackson reportedly carried on a decades long extra-marital affair with Cheryl Terrell, a secretary 20 years his junior. The pair had a daughter, his 11th child, Joh’Vonnie, who is now 43, but Jackson remained married to Katherine all along. He is survived by Katherine, who is 88, and nine of his 11 children.